It's been fascinating reading the Euro 2016 results. Some of the timing has been amazing - like England being beaten by Iceland just after Brexit vote. We were in the car heading home from work when that result was being discussed. John Campbell called a pub in Iceland - and the sound was amazing. Made our hearts burst with joy listening the the levels of excitement in this country that is the size of Christchurch. The Icelanders will relive this game for years to come. Even as the "experts" were noting some of the unusual results the headline this morning was that the favourites would still be likely to be in the semi-finals - Germany, Belgium, France but a bit of a question over whether it would be Poland or Portugal. But within hours of that headline Wales convincingly beat Belgium. Very good of the Belgium team to give Wales a go - the first time in my lifetime they have reached the semi finals of any major tournament - the last one being mid 1958. Contrary to popular belief I have not been sending messages to various teams suggesting they stand back and give the little guys a chance. But if I had I'd be telling France that even though the competition is being played in France it would be wonderful for Iceland if they reached the final - and wouldn't hurt the French too much - after all they have been there before. 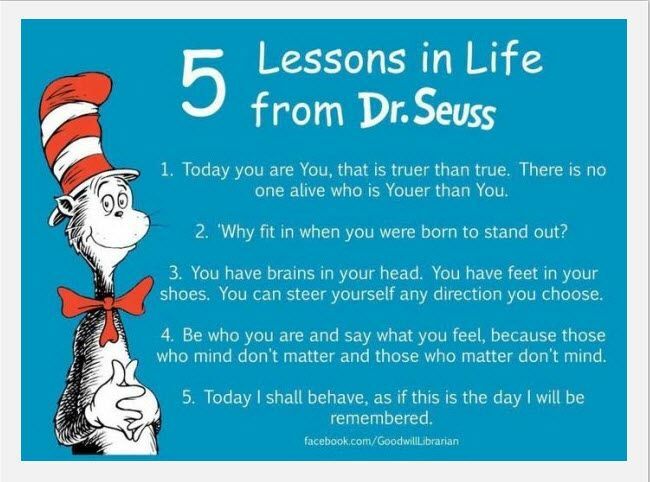 Dr Suess would be proud.